Sophisticated 5 bedroom 3 bathroom family home in the heart of huntington beachâ€™s prestigious school district, with short stroll to meadow golf course and butterfly park. This unit boasts a fresh look with new exterior paint, new ceramic tile flooring, as well as many detailed custom-made shelves and high quality finishes throughout. Other stunning features include beautiful stained glass windows, wooden window shutters, granite counter tops in the kitchen and all bathrooms, patio in the backyard, hardwood throughout second floor, three fireplaces, and side by side three-car garage. The downstairs showcases one bedroom with a unique japanese tatami design which can serve as a yoga studio, guest room or game room. Upstairs you will find a spacious master retreat with grand soaking tub, dual vanity, walk-in closet and custom cabinets. 3 more generous sized bedrooms upstairs, one of which has a large walk-in closet. 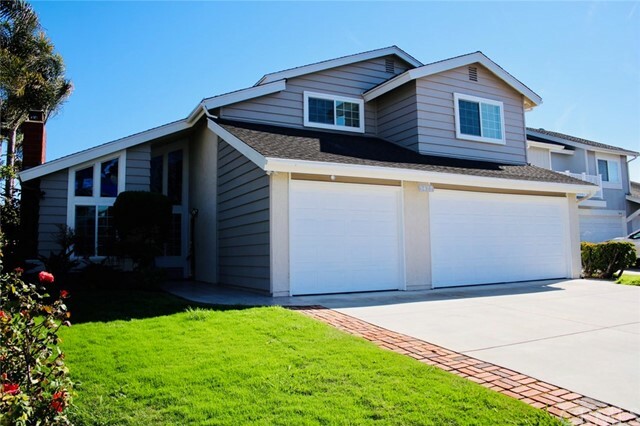 House is in move-in condition, this is huntington beach living at its finest! Listing Agent: Helen Huang Listing Broker: Nt& Associates, Inc.
For more information or make an appointment to see property ID RS19010543.